BaseLine termiticide creates a long-lasting zone of protection that repels termites away quickly, and continue killing any that come into contact with the zone that was treated. This pre-treatment termiticide binds to organic matter in soil and will not move from the treated zone making it perfect for eco-friendly preconstruction treatments. Unlike non-repellent termite treatments, termites will not try to go near BaseLine Pretreat, the ones who do will die, simple as that. It simply stops termites in their tracks. Termites can and do penetrate non-repellent treated areas and may then be able to cause structural damage. 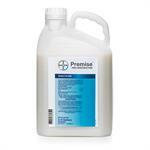 So make sure your structure, your business and your reputation are protected with the long-lasting protective zone created by BaseLine pretreat termiticide from FMC. Now approved as an insecticide for use on general pests! Whether you need ant control, chinch bug control, cockroaches control, spiders control, or you want a product that will control pests of some other kind, Baseline Insecticide will work for you! 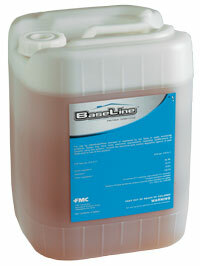 Would you like to see the Baseline Termiticide Label? How about the Baseline Insecticide MSDS sheet?